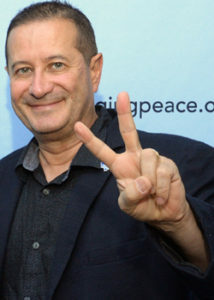 An experienced feature film Producer, Emmanuel Itier directed several pictures before completing in 2012 the Peace documentary ‘The Invocation’ narrated by Sharon Stone and staring Desmond Tutu, HH The Dalai Lama, Deepak Chopra as well as many worldwide peace activists. In 2013 Mr. Itier executive-produced a Drama filmed in Hong Kong: ‘Red Passage’ which won many Awards in the Festival circuit. Emmanuel Itier has also been a successful Music and Film journalist for both Rock Magazines, French TV networks and various websites for the last twenty five years. Finally Itier has been a buyer for many French and American Film distribution companies for the last twenty years. He was on the board of directors of the Santa Barbara Film Festival for a decade and he writes poetry. He is also very involved with charities and the political world. Mr. Itier seats on the board of Directors of ‘Darfur Women Action Group’ in an attempt to bring Peace to Darfur. He is also the past founding President of the Rotary E-Club of World Peace ( www.RotaryEclubofWorldPeace.org ) and he is part of the U.N Association, Santa Barbara chapter. Finally Mr. Itier is a recipient of the ‘2018 Global Citizen Award’ from the prestigious United Nation Association and he was named President of The Year 2018 by the Rotary EClub of World Peace.